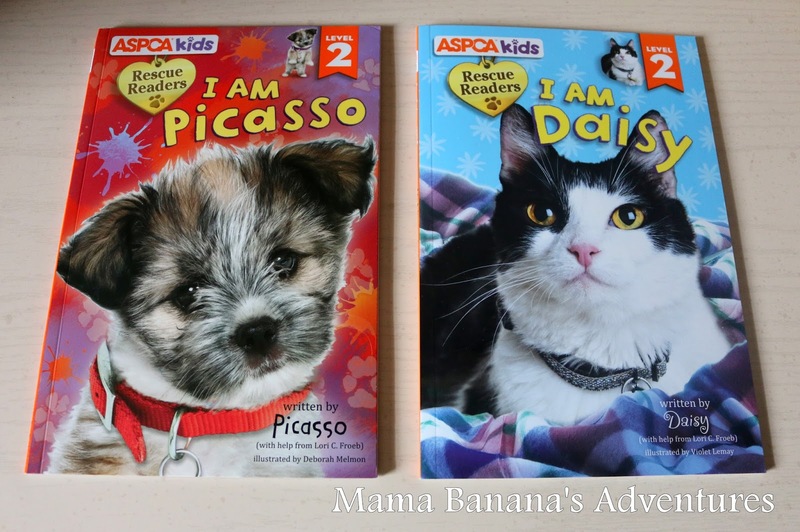 Studio Fun International, a Reader’s Digest Company, has partnered with the ASPCA to create a great line of books! Do you love animals? Do you love reading with kids? 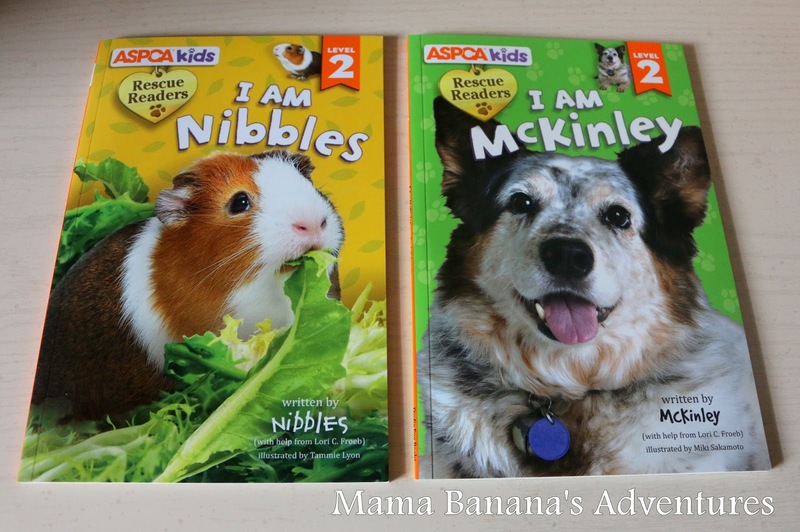 Then, you’ll love ASPCA Kid’s Books! Why Books? These days, technology seems to dominate how our children read and learn. Tablets, Ipads, computer programs, phones, readers and tv shows monopolize how kids are entertained and introduced to new material. Books are a welcome throw back to simpler times. With 4 boys under the age of 5 I want them to have a taste of the way things were 30 years ago. Before people were walking into water fountains because they couldn’t put their cell phones down, telephones were attached to the wall with cords and kids spent more time playing with 3-dimensional toys and books. Oh yes…libraries and real books that are filled with crisp paper and that new book smell! I’m thrilled to share this ASPCA Kid’s Book Series with you. Read below and see some great images of our samples (I appreciate a pin of the image below, it’s Pinterest sized). When I opened the package I immediately noticed the glossy finish and bright orange book borders. I don’t think these will get lost under the sofa! In addition to the bright colors, the gloss should help with removing any peanut butter or other goods my kids may snack on while reading. Each book has an adorable large photo of a real animal and is very eye catching. My boys grabbed the books before I could finish opening the box! I started reading the information accompanied with the series and am really in love with the mission and meaning behind these stories. “Studio Fun International (formerly Reader’s Digest) has premiered a new line of ASPCA Kid’s books, which are based on true pet stories. 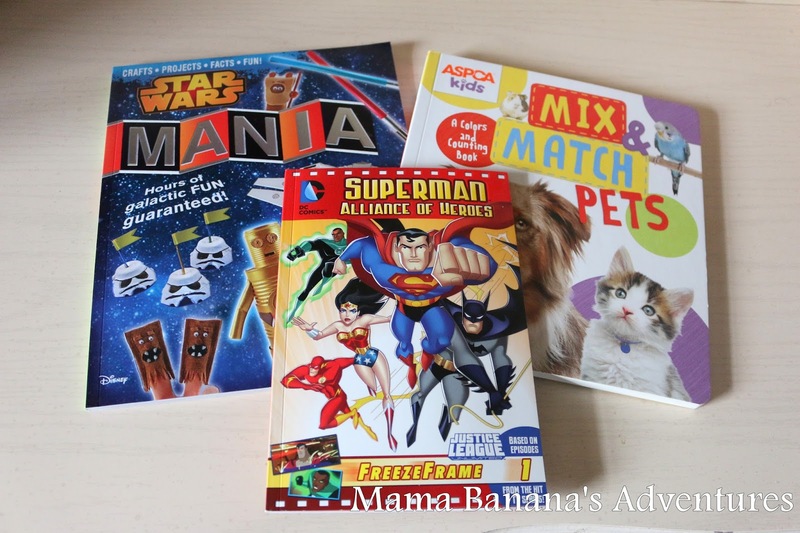 The line’s The Pet Rescue Club series is aimed at children ages 6-8, and the Rescue Readers series is for children ages 4-8. The line will also feature two board books for young children.” (1) These books benefit those reading them as well as the ASPCA organization. It introduces pet responsibility, the notion that not all pets are wanted, the love and care that goes into shelter animals and the importance of adoption. Who doesn’t love the ASPCA? I love watching the rescue series on TV and cheer for the officers when they help out a needy animal. The ASPCA is a 501(c)(3) not-for-profit and one of the best charitable organizations out there IMO. 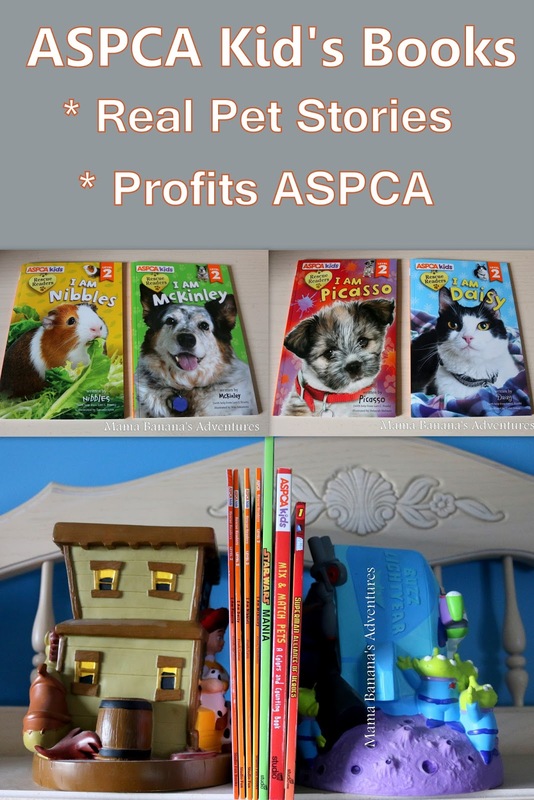 How do these books benefit the ASPCA? A percentage, 4-5%, of each book will go to the ASPCA with a minimum of $25,000 by 2017! Amazing right? In addition, these books come in Kindle, Paperback and Hardcover. Boos are written at level 2 for early readers and emphasizes the amount of love that goes into caring for a sheltered animal, and the joy in finding our furry friends homes. The pages offer black text on white and a biography of the animal at the end (see above). About the company; In addition to the books, Studio Fun has an array of other materials including this fantastic Star Wars Mania book and online resources. My oldest saw the movie and this book is a fantastic follow up to the material! These books can be purchased at my favorite retailer Amazon, and also found at Barnes and Nobel, Books–A–Million and IndieBound. They offer level 1 for beginning readers, level 2 for assisted readers and level 3 for independent readers. These would make great gifts for the Holidays, Easter Basket Stuffers and my children enjoy reading them over and over. 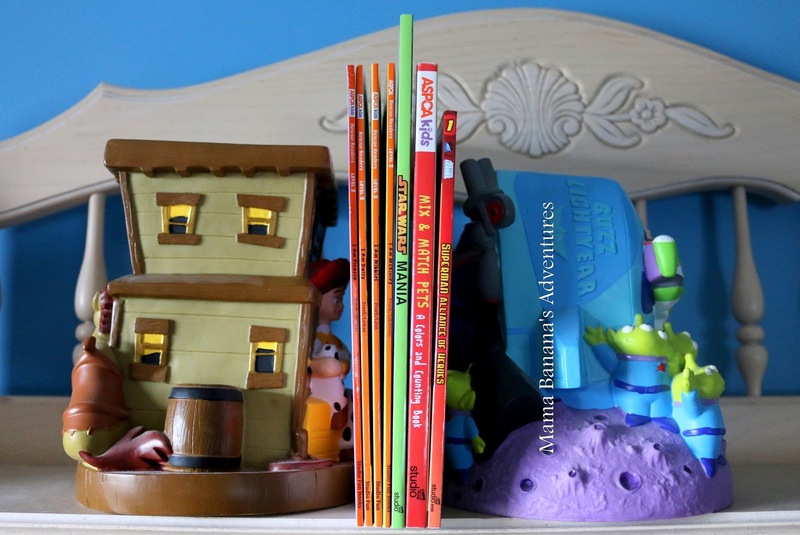 While the thin style pages may not be as durable as the board books offered for younger readers, with the reasonable prices they can easily be replaced if pages get torn.